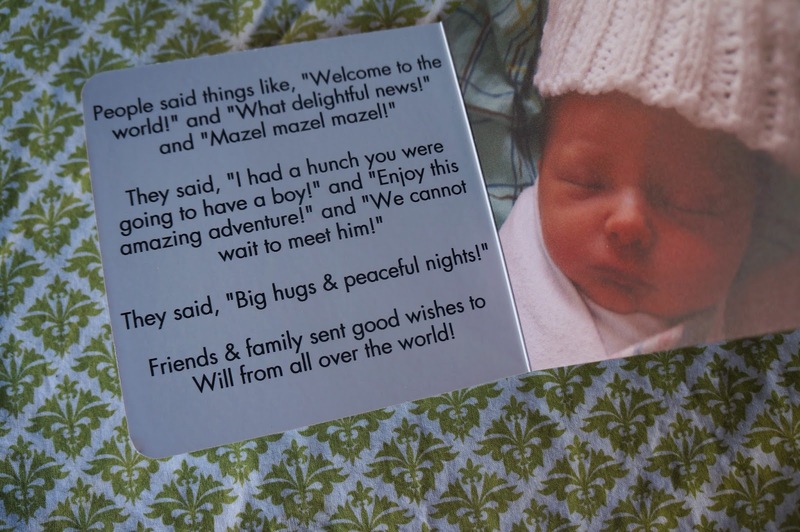 We were lucky to get the most incredible outpouring of love and support when Baby Will was born last March. Calls, visits, cards, emails, texts, and my first post on the Facebook that has ever gotten more than 100 likes (you know, the big stuff). I've been meaning to aggregate all of those sweet messages into a book for us to read to Will. 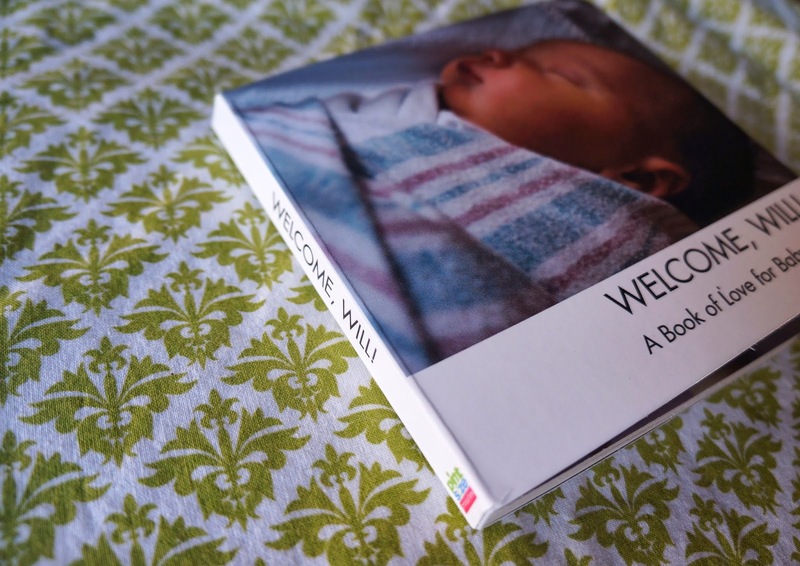 When I found a company online that has make-your-own board books, I thought it could be perfect. I used a mixture of texts, emails, handwritten notes, and Facebook messages. It was awesome reading through all of these old messages. Everyone was so sweet. I just want Will to know that friends & family all over were sending love and good thoughts his way. I want him to know how much he is loved. Possibly this is how to raise an egomaniac. 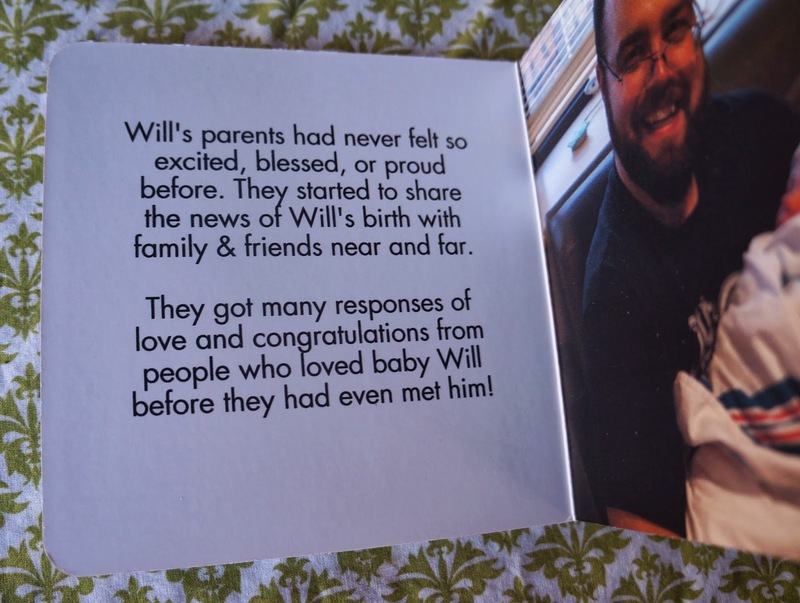 I can't wait to read through this with Will and tell him all about everyone who loves him, near & far. The quality of the book is great - thick and beautifully printed. 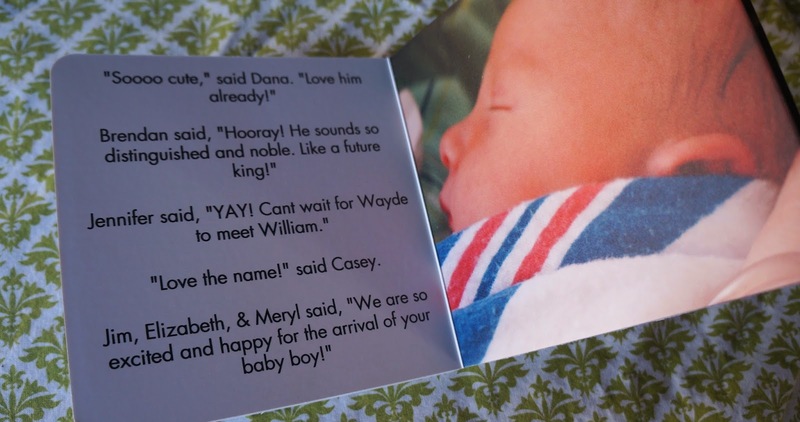 It took a while to dig up these messages and use Pint Sized Productions' online tool but it's totally worth it. I read through it myself about 20 times as soon as it arrived. I am so pleased. I am so relieved I didn't have any typos in there. This is starting to sound like a sponsored post, which it isn't. 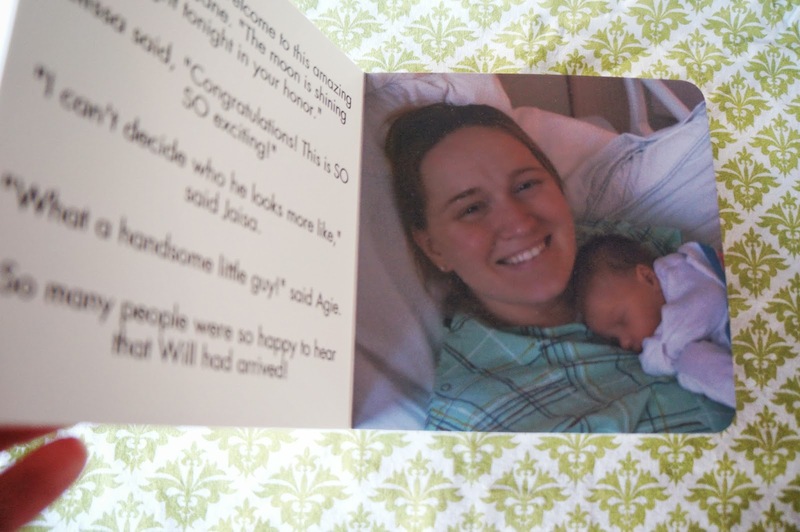 I may try making a DIY board book at some point by Mod-Podging paper on top of an old board book, but for now this was an easy enough way to make this book of love for Will! Have a great weekend, everyone!